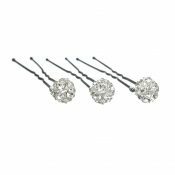 No wedding day styling would be complete without some final sparkle for your wedding hair. 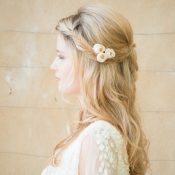 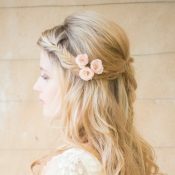 From hand-crafted bridal headpieces to perfect flower hair pins, the collection of bridal hair accessories from award winning Chez Bec, offers the modern bride the chance to add elegant and vintage sparkle to their wedding hair style. 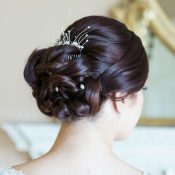 Our bridal hair accessories combine shimmering freshwater pearls, Swarovski crystals and diamante. 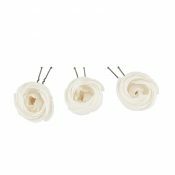 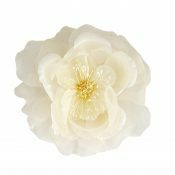 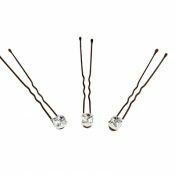 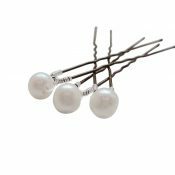 View basket “Stella diamante bridal small button hair pins” has been added to your basket.